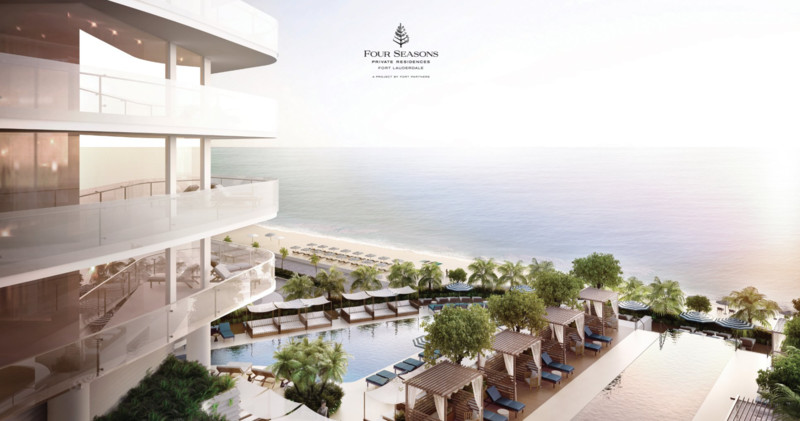 Introducing Four Seasons Hotel and Residences Fort Lauderdale, where luxury and legendary Four Seasons service combine to create a lifestyle unlike any other on Fort Lauderdale Beach. Rising on the oceanfront, this modern landmark — with striking interiors and exteriors by a world-class team of design visionaries — is intimately scaled at just 22 stories consisting of approximately 150 guest rooms, 42 Hotel Residences, and 44 Private Residences. Tara Bernerd, one of the most celebrated voices in the London design scene, is the visionary behind the interiors of Four Seasons Hotel and Residences Fort Lauderdale. Based in Belgravia, Bernerd’s interior architectural practice specializes in the design of luxury hotels, estates, and private yachts. Tara Bernerd’s signature aesthetic of texture and color will create a welcoming sense of warmth in the Hotel and Private Residences. The custom lacquered millwork cabinetry features antique bronze metal fittings and a Calacatta Nuvo backsplash. The turnkey kitchens are fully finished with Dornbracht faucets, Sub-Zero, Miele and Wolf appliances, and hand-selected dinnerware, silverware and cookware. In-residence dining and catering can be arranged by the Four Seasonsconcierge.